Brian is a son to two wonderful people, a father of two children, a grandfather to three children, a brother to one sister, an uncle to one nephew, and a friend to many! After battling back, neck, and shoulder pain for quite some time Brian became very ill and his pain continued to become unbearable. At the end of December he was hospitalized due to a serious infection in his spine and underwent a neck surgery. 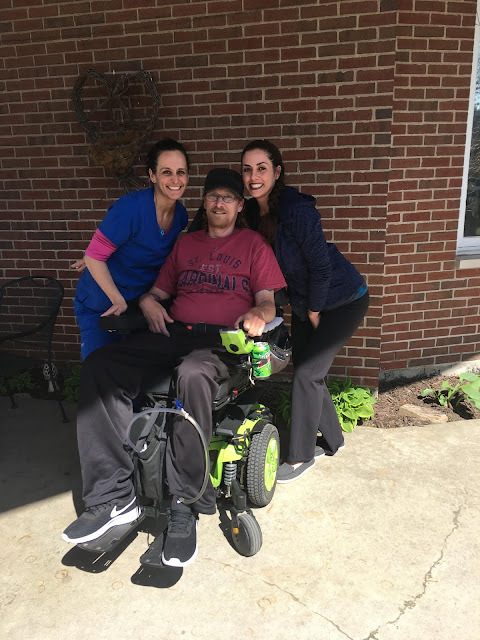 He had to have discs C3-C7 removed leaving him paralyzed from the waste down, having no use of his right upper extremity (his dominant hand), and unable to eat or swallow causing him to be placed on a feeding tube. He remained in the hospital for many many weeks receiving therapy and recovering from his surgery. He was then discharged to a rehab facility to receive more skilled therapy services before returning home. From day one he has given 100% and worked to his fullest potential in therapy, no matter how much pain he is in or how bad he feels. Brian spends nearly every day, all day, in the therapy room doing whatever is asked of him and whatever he can to get stronger no matter how hard it is. His determination, motivation, and positive attitude and outlook is amazing!!! He wants nothing more than to get better! Not to mention his sense of humor has been great entertainment and gotten us through some pretty tough and challenging days. 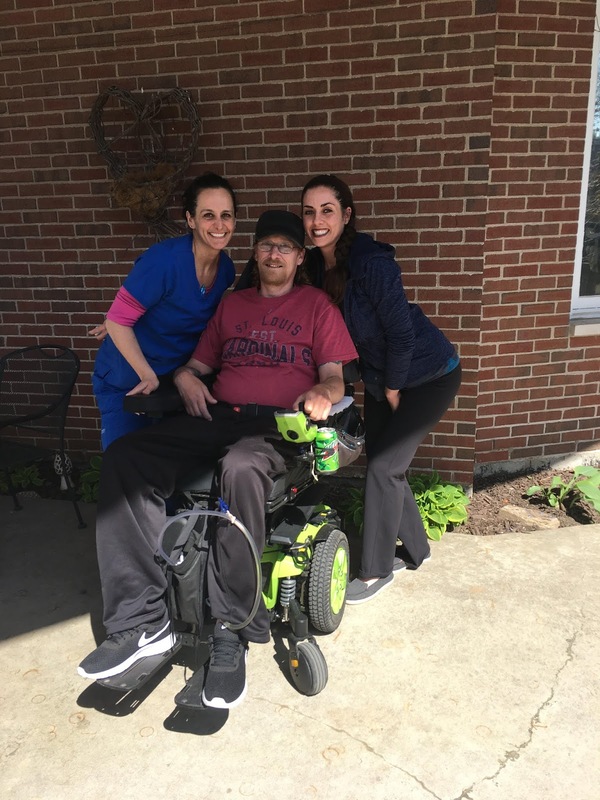 Although his life will never be the same, and this is not the life he ever imagined for himself, he continues to stay positive about his situation and motivated to become as independent as possible. Every day he is making progress, learning, and working hard to adapt to his new life! Due to his insurance and financial situation he is very scared about what his future holds and overwhelmed by the financial burden and strain of his medical expenses, the cost of care, the astronomical cost of equipment that he needs, and the cost of supplies that will be required for him to live a happy, healthy, and safe life. Financially he feels that things just may not be possible. He will also need assistance with daily tasks, supplies for his daily tasks/needs, continued therapy services, and assistance with his medical bills. More than 50% of the proceeds from all Fight the Fight purchases made during the month of July 2018 will be donated to Brian to help cover the costs of his medical-related expenses.